Hello! 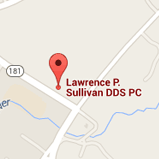 I'm Dr. Sullivan, and I want to sincerely welcome you to our practice. The staff and I consider each other a second family, and we extend this care and consideration to our patients every day. Getting to know each patient on a one on one basis is my favorite part of my day. I love making connections with my neighbors and community members through my practice. Before I became a dentist, I received my Bachelor of Science degree in Biology from Rutgers University in 1975, then my Doctor of Dental Surgery (DDS) degree from Columbia University in 1979. For the past 30 years, I have been dedicated to providing the highest quality and most up to date procedures and services for my clients. In order to be sure my clients are receiving the best care, I consider my continuing dental education a major part of my job. I average one day a month attending continuing education courses in dentistry and in medicine as it relates to dentistry. This keeps me up to date on the latest materials, techniques, equipment and trends, in order to provide the best possible care for my patients. Our office is dedicated to meeting the individual needs of each and every patient. We do this by listening closely to our patients' wants and goals. We present all options for treatment, and encourage the patient to choose the one best for them and their budget. All care is given with the patient's comfort as our highest priority. Nearly all procedures are performed by me in our office, so that patients rarely need to be referred out to specialists for treatment. My wife, Maureen, and I have one daughter, Colleen, who is living and working in Manhattan. Our son, Sean, is in college. We have one dog, Bella, and two cats. My wife and I can often be seen riding our bikes, golfing or hanging out at the beach. What makes our office special is our friendship and our training. Most of us have been together since the mid 1980's, and we are each other's support system and community. We consider each other and our patients to be part of the family, and treasure each member. 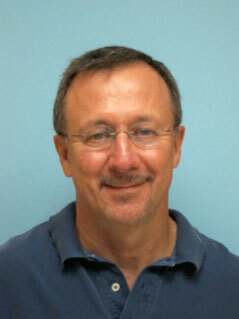 Our new patients are always surprised at the openness, honesty and humor with which we work. We don't just see our practice as our work, but as a part of our community. We hope you will join our family of patients soon.